We teach a variety of subjects in PE as required and set out by the government in our National Curriculum. We have a specialist PE teacher who teaches PE to each class for one lesson per week and in addition each class is taught PE by their class teacher for one lesson per week also. Early years children will do a range of activities to help develop their sports skills from an early age. They have access to outdoor areas where they will develop their co-ordination and build their team work skills. Skills that will help them throughout the rest of their schooling. There is also a large focus on helping develop their independence as they learn to get changed independently for their PE lessons. KS1 children will all do equal amounts of dance, gymnastics and games. In all of the subjects, the children will be improving strength, stamina, flexibility and body control. At the same time, the children will be building confidence and learning that sport is fun! In these early stages of their lives children are learning key skills and at our school we really value that they all see sport in a positive light. KS2 children will be taught half termly sessions of dance, gymnastics, two different invasion games, striking and fielding games and athletics. Years 3 and 4 will also do a term each of swimming, a national curriculum requirement. The children will not only improve body tone, stamina, flexibility, skills and co-ordination they will also learn about co-operation, teamwork, tactics and strategy. We also teach the children about the importance of exercise for a healthy body and hopefully the children will have a lot of fun in the process!! In addition to curriculum PE, the children are given a variety of opportunities to develop their skills in our after school clubs. Most clubs change from term to term with teachers running termly clubs where they have areas of expertise for example, cricket club and cross country club. Some clubs for example, football and Spanish dancing run throughout the year ran by outside companies and are aimed at children in both Key stages. Children really enjoy being involved in the after school clubs and it gives them a great opportunity to be coached by skilled instructors to develop their skills. It is also good for them to interact and learn from children of other year groups within the school. All of the club instructors are highly skilled in their sport and are all DBS checked. To view the PE policy in detail open the file below. 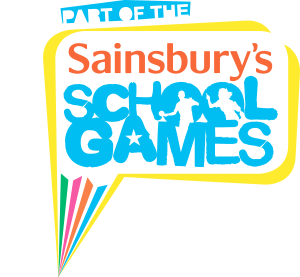 The Sainsbury's School Games (www.yourschoolgames.com) is a unique opportunity to motivate and inspire millions of young people across the country to take part in more competitive school sport. The Games have a strong Inclusive element resulting in more meaningful opportunities being available for young disabled people. Sport England, who are in charge of distributing Lottery funding and are supporting the engagement of Sports Governing Bodies and County Sports Partnerships. At a local level, the Sainsbury's School Games are being delivered by schools, clubs, county sports partnerships and other local partners. There are almost 50 Local Organising Committees (LOCs) which are chaired by Head Teachers and these oversee the county festivals. There are many Sports Games Organisers (SGO) working with schools in cluster groups. What this means for us at Our Lady Queen Of Heaven, is that since 2012 we have had the benefit of Sports Funding from the government to spend exclusively on improving sport in our school. Our SGO is Siobhan Nicoll, who organises the many inter school competitions we attend. The winners of these local competitions then go on to represent Crawley in the Sainsbury School Games finals, held in the summer. We have been to the School Games Finals three times, representing Crawley in the Qwicksticks hockey competition. We will again be entering the many competitions organised for us this year, in the hope that we can once again go on to represent Crawley in the School Games Finals. We are proud to say that we have now achieved Silver (2014 - 2015) and Gold (2015 - 2016 and 2016 - 2017). We are aiming to maintain our Gold award for the current academic year. To find out more about PE at OLQOH please contact Mrs Westgate, PE teacher (awestgate@olqoh.com) or alternatively, Miss Kerrigan, class teacher and shared PE leader (mkerrigan@olqoh.com). Crawley Hockey Club The junior section is open to all boys and girls aged from 7 up to 16. Training is at Hazelwick School on a Saturday morning from 8.50am to 10.00am for school years 3 to 10. Training is on a Monday evening from 7.50pm to 9.00pm for school year 11 and the Development Team. Training is on a Wednesday evening from 7.50pm to 9.00pm for school year 11 only, with the senior club players.